Birthday Card Designer software creates colorful and printable birthday cards for family, friends or relatives. Birthday Card Designing application creates handmade invitation cards of your choice with option to insert snaps, images, clipart, logos etc. 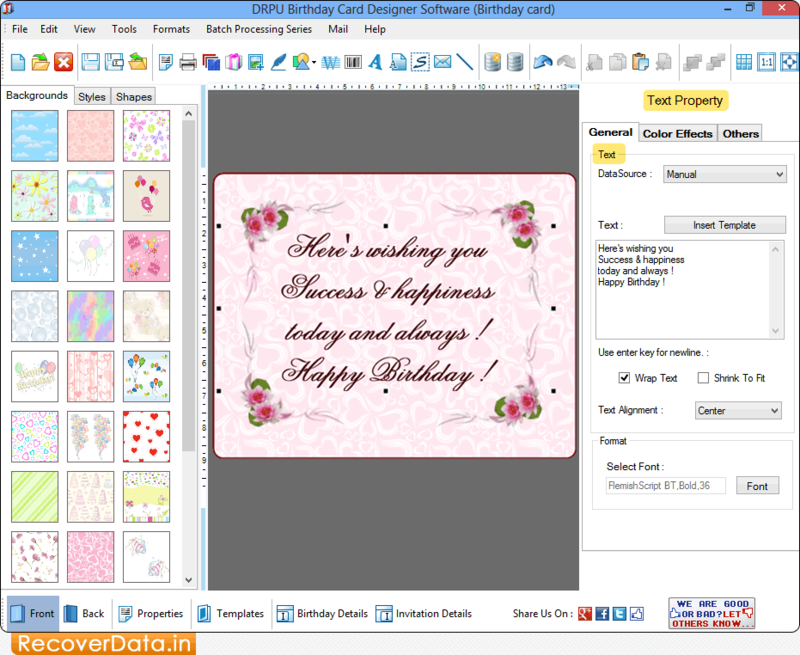 Birthday Card Maker software facilitates users to design remarkable and attractive looking birthday cards using image designing objects like line, pencil, ellipse, rectangle, text, picture, arc, triangle and star objects. Birthday Card Designer program creates colorful birthday cards in various shapes or sizes. Software facilitate users to print designed cards with advance print settings. Software provides color and image setting feature. Birthday Card Generator Program provides an option to send designed birthday cards at specific email address.